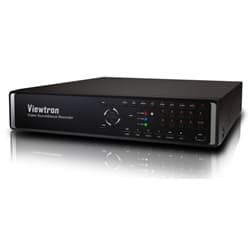 Home > CCTV Security Camera & Video Surveillance System Forums > Stand Alone DVR Support > Viewtron DVRs > Can a surveillance DVR record when an alarm door sensor in opened? This topic contains 0 replies, has 1 voice, and was last updated by Mike Haldas 5 years, 6 months ago. Is it possible to trigger the recording process of a surveillance DVR to start automatically when an alarm door contact sensor is opened? I have read some instruction about the DVR they can be trigger the recording process after the alarm is off. Why they don’t do the trigger recording just after the alarm is on? (suppose the door contact sensor is on). I am appreciate if you can get some chance to answer this question please. The above questions were asked by a potential customer of CCTV Camera Pros. This was the response that we provided. Thank You for your question. Our Viewtron DVRs have a panel of alarm inputs on the the back. You can connect alarm door contacts to these inputs to trigger the DVR to start recording. Please take a look at the instructions here. This topic was modified 4 months ago by Mike Haldas.